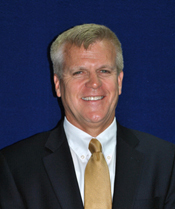 Read Superintendent David Larson’s earlier community columns. There are always themes and trends from surveys, informal conversations and public input. Take time to be thoughtful, ask questions and filter one individual or group’s request with that of the larger constituents. Board slates typically add to conflict and dissension and do not result in a unified team approach and good governance. Also know that, with only 15% of DuPage voters participating in the most recent election, a slate, advocating for their specific issue or agenda, likely will not be representative of all residents. Individual board members need to be clear and articulate what is important to them and where they stand. This is critical as the full board needs to work together as a team. Work to avoid “the meeting” before the meeting or “the meeting” after the meeting. These offline discussions will not contribute to a democratic spirit and will undermine the team approach. If possible, work to stay focused on issues and programs and not a specific person’s intelligence, character or performance. In some DuPage communities, 90% of the tax base is residential. This results in a greater tax burden on homeowners to fund quality schools. Before making assumptions, take the time to understand the broader and complex school funding landscape in Illinois. Effective board service means being able to hold the minority viewpoint when voting on a given issue and then openly supporting the majority vote of the board in your community. Work to ask questions, share information and resolve misunderstandings at the appropriate time and place. Recognize the difference between setting policy (the board’s job) and administering schools (the superintendent’s job). Fostering relationships, valuing others’ opinions, building consensus and staying informed about emerging and ongoing issues are all important to being a team player. Board governance on a local school board is important “ground level” democracy in action. Serving on a local school board also is hard, tedious, time consuming and sometimes stressful work. But a healthy functioning board that follows these principles will provide leadership that ensures a shared vision of public education, set high expectations for the education of all students and ensure fiscal stewardship.